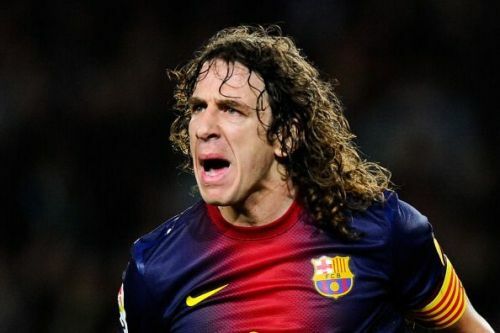 Carles Puyol was nicknamed Tarzan by many people. Though he may have got the name because of his long hair, he had more than that in common with the famous storybook character. Puyol was strong in his tackles and played with a no none sense approach. No one can call his style elegant, but that was exactly what made him such a revered defender. Puyol spent his entire career in Barcelona, more than fifteen years. During that time he won countless trophies and was the captain during the Blaugrana's most impressive season in 2009 when they won six trophies. He was the mainstay in the defence of Pep Guardiola's all-conquering side. As Messi, Xavi and Iniesta took all the plaudits for their tiki-taka, Puyol silently went on tackling any problems that came his way. 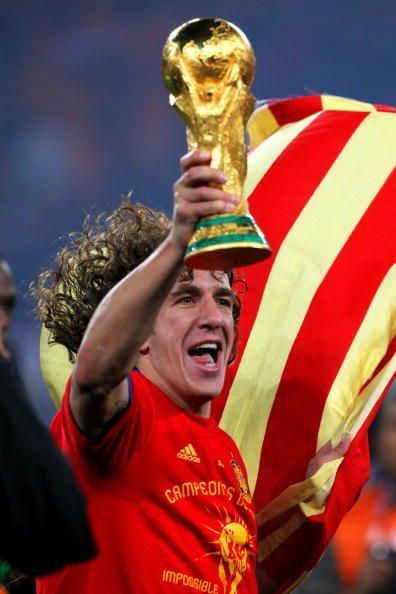 Puyol's international career was equally successful. He won the Euro 2008 and 2010 World Cup during his time with Spain. He played for his national side in 100 games and scored 3 goals during that time. One of them was the all-important goal against Germany which sent Spain into the final of the 2010 World Cup. When taking Puyol's club and national side achievements into consideration it is unbelievable that the Spanish defender never won the Ballon d'Or. He was though selected many times into the team of the year on various occasions for his consistent tormenting of the opposition forwards. Puyol is a rare beast. In today's football where defenders are concentrating more on playmaking than defending, Puyol's art is dying. Football hasn't seen a defender who goes into tackles and aerial challenges knowing he will win the ball. Puyol may have never won the Ballon d'Or, but Barcelona fans will never forget the player they passionately call "The Wall".